it can be firmly locked when the door is out of use. the safe and simple design makes it easy to install. it can withstand everyday use and won't warp from extreme temperatures. the lock-out slide ensures that your pet will stay put when unsupervised. At Namsan brand, we are striving to offer the perfect combination of quality, style and price to pet lovers. Namsan was founded by people with a serious passion for helping pets. Being a pet parent is one of the best things in life. And we understand because we're here to make pet happiness happen. 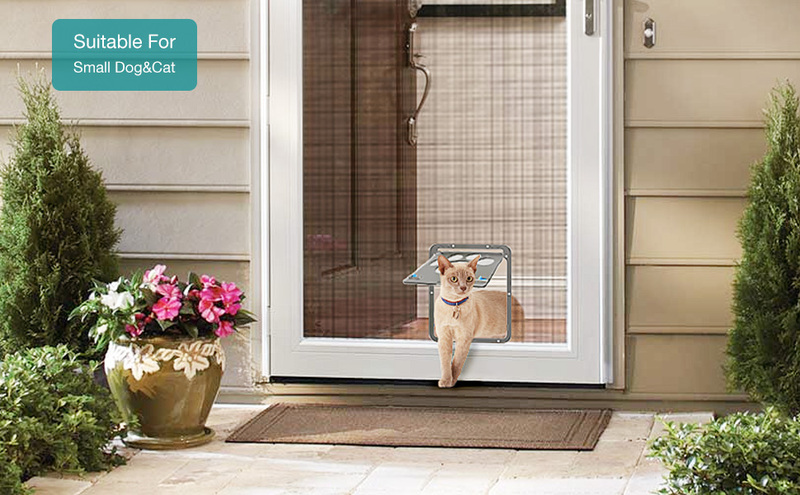 This swinging wire mesh pet door is built with high-impact plastic, and includes a sliding lock to a control your pet's access,for small dogs and cats. 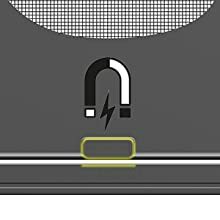 Magnetic flap closures, is with 2 magnet on the two side of flap and give the door a strong seal when the door is not in use for added protection from the elements. 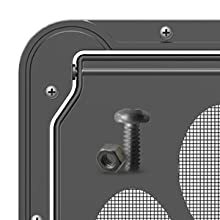 Namsan cat door for window is fixed with screws, and it is equipped with screws per unit . 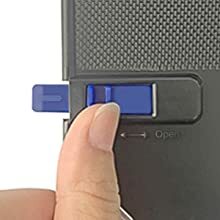 The safe and simple design makes it easy to install, also it will avoid the pet screen door fall off from your screen. 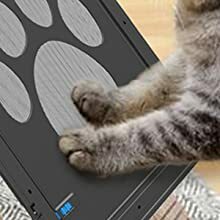 Constructed from sturdy plastic and ABS material for a durable pet door that can withstand everyday use and won't warp from extreme temperatures. Allows your pet to come and go as he pleases, through your sliding glass or screen door. Upgrade slide lock is more sturdier and easier to use, the lock-out slide ensures that your pet will stay put when unsupervised.